For the record, I hurt my back 40 years ago playing racquetball – and began four decades of trying to figure out how to deal with the recurring (but until recently not chronic) back pain. One back surgery (lower back disc), flare-ups so severe they put me in the hospital back when they still did it, didn’t slow me down. I still tried to play racquetball for the next several years, finally gave it up but continued to work out, play golf and in later years found hiking as a great pastime (both for body and attitude). But still the looming threat of the back pain flaring up impacted (and still impacts) all of my activities. Two years ago, when my back pain turned chronic (if hurting every day is chronic), I decided to find out if any new answers were out there. Our reporting and other reading I had done indicated to me that strengthening my core would help mitigate the problem. So, I swore off surgical interventions, most pain medication and went about trying to fix myself as best I could. For me, it’s been working, at least some of the time. That’s why a recent article at vox.com caught my attention. It was about a book written by Cathryn Jakobson Ramin titled: Crooked: Outwitting the Back Pain Industry and Getting on the Road to Recovery. So, how about you? 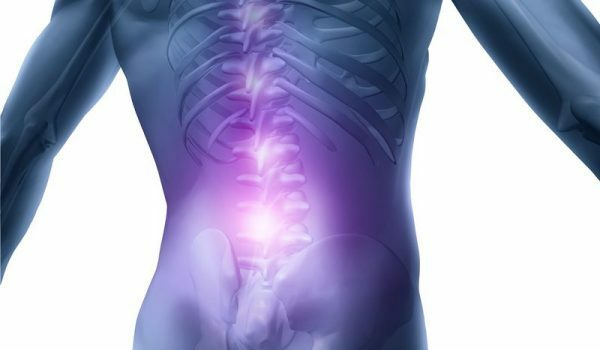 Do you suffer from chronic back pain? What do you find helpful? 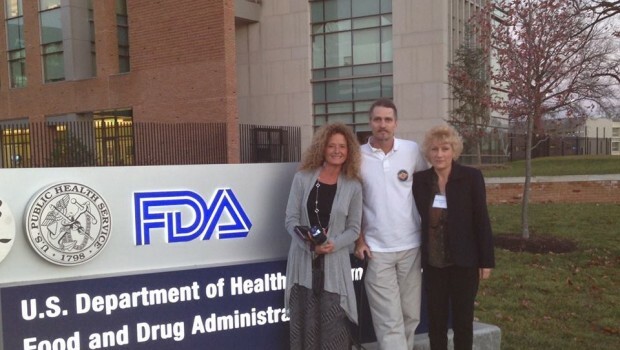 Are Elected Officials Listening to Chronic Pain Patients? In this generation every single adult is a sufferer of back pain. Everyone should carry out a medical checkup without wasting more time. In severe case, according to instructions of physicians or doctors he should perform an MRI scan. If anyone cannot afford this scanning test due to high-price then he can choose other way which is comparatively suitable like CT scan. @Ibin, soooo very well said/written! Straight to the point. I empathize with you, my spine history is similar. I am one of those who have had 4 spine surgeries (painful hardware removal included…surgery #3) and canceled the 5th surgery last Jan because I FINALLY GOT A CLUE! As I also posted, they need to start talking with us. And yes, drugs will always find their way to the addicts and vice versa. As a young (?) aspiring business owner at the age of 37, my lower back and left leg began to hurt, constantly some 23 years ago. I had two sons both, starting in life and there was “no way” we, my wife and I were going to derail them. I “trusted” my orthopedic surgeon as I knew him well. He advised after a year of fairly intense pain to have surgery. I did so. It was considered a “minor” surgery. Just split your skin and muscles at the base of your spine and “shave” the bulging disc so that it does not press against the sciatic nerve or nerve that extends down your leg. Now I know, there is NOT such a procedure as a minor back surgery. One year after the minor surgery, I had to have further surgery because another disc was pinching the leg nerve. MRI’s, collaboration by physicians, make sure the patient is insured, the whole nine yards. I had two surgical plates and four surgical screws threaded into my vertebra to bridge the original “bad” disc. I have not been out of continuous pain since. That was over two decades ago. I consider people that have had 3 or 4 surgeries and I KNOW that continuous, incurable pain rules their lives. I know a person that had scoliosis and had a steel rod implanted, temporarily for years and after it was removed, she is in constant pain. The CDC mis-guided-line is a social reform platform. An attempt to stop drug addiction through force. “Lack” of medication which is stated now by DOT/GOV that the demand is reduced primarily because of the CDC mis-guided-line? Asinine. Pain, true body generated pain just does not disappear. The “guideline” does not even consider people through no fault of their own have continuous, serious pain that can not be “wished” away. Patients that will be in unmanageable pain, without medication for the rest of our lives. I resolved through advice from my pain management provider from the beginning to keep the “core” muscles strong as recommended, and it really does help. Staying strong IS good therapy but, when medication is reduced by 80 % of what has been prescribed for 5 years now, it defeats the will to even try to stay muscularly strong. The mis-guided-line is not helping the patients that were doing well with previous prescribing and furthermore it is composed of authoritarians that do not feel continuous, serious, pain. The experts. How about these authoritarians just “listen”to some pain patients that have been stable on medication, some for decades? Social reform or forced reform and refrain from recreational drug use can not be slowed by the removal of medication. Documented patient use of opiate medication that has given the patient with pain some “sense” of normalcy and self reliance. Physical therapy or any other self motivation will be defeated. The flesh will yield to the pain. Ok, I’ve read the books’ excerpt and all of that is very informative, fine and dandy. And I get the message. But, it still left me frustrated knowing that I have tried all that was suggested and am not any better. My body is damaged from an auto accident and 4 Spine surgeries. The damage is far done! And yet I’m constantly trying to help myself be better than I am. So, It is true…we are left to FLOUNDER out here, in fear no less. When is someone going to start talking with us ‘permanently scarred and damaged CP folks’ and write a book about how to help and manage us and our permanent damage?! I know it’s complicated but we are in need of proper help and guidance. Not suggestions for the average person in pain. We are far from average. We could write many books about how we live this way. 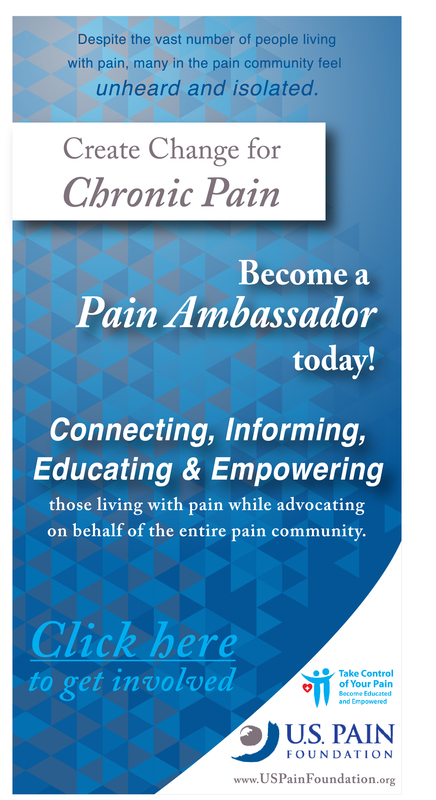 Chronic pain is so much more than the experts are suggesting. Currently I am researching the brain/body connection and it surely makes sense to me BUT… how is it handled?! That’s the true question here…. The medical community put most of us on meds to give us some sense of living/surviving and now they want to screw us up even more. Don’t abandon us. Listen to us, PLEASE! Mom was told it was all in her head, to see a therapist. When they finally did imaging, it was clear that bone spurs were cutting into her spine. She had a cervical laminectomy within a month. Therapy is often used in a dismissive way. The problem must be imaged if the patient’s symptoms are red flags. I believe that my mother being a woman contributed to her being dismissed for years. I wish I could tell those doctors the risk she faced and to give patients the consideration they deserve. I have had my share of dismissive doctors and my anger about my mother’s treatment has made me more assertive. And angry at the mistreatment I myself have faced. I had a lumbar fusion in 2010 and regret it deeply because it was a failure and I’m now disabled . I decided to go for it because the year before I had my neck fused and had immediate pain relief. I actually feel the chiropractor was detrimental and was a cause for the need for surgery. I tried acupuncture and cupping and it helped but could not afford to continue even though I had great medical insurance. Why does the medical insurers get away with not paying for therapies that help? Had no problem having insurance pay for both neck and back surgery. What do we do about the FDA pulling our pain meds off the market bc of some idiotic people!!! I needed tht medicine its the only thing tht works!!! Now i have to suffer tremendously every min of everyday!!! The article in vox sounds like a argument on why I should accept that what has worked for me for 15years has been taken away,insurance companies are not and will not pay for us to become yoga masters.maybe starting a company that makes exercise mats will take my mind off the pain,Ed I wish it was as simple as these expensive,time consuming California style remidies.This thinking makes ppl without chronic back pain think all we need to do is wake up in the morning and bend over and touch our toes a few times and we will be pain free. people have,just wanted to mention that ibuprofen helps. I developed recurrent severe muscle spasms in my lower back, after a collision with a DUI driver who ran the red traffic signal into my car 3-1/2 years ago. My primary care doctor had retired. The Opioid Crisis was coming into full bloom and no doctors wanted to give strong pain medicines to new patients…especially serious-looking ones whom they suspected of being DEA agents under deep cover. I stretched my supply of prescribed pain meds as far as possible, but also got suspicious of the fact that the worst of the pain, was spastic. On learning about Dr David Hanscom’s “Back In Control” project, I was way too cheap to pay to attend one of his seminars, but I looked over what he published on his web site, and implemented part of it. I started taking notes about my pain…when it got worse, when it got better, what I’d been doing at the time. And I realized, after finally having a terrifying panic attack, that the spasms were a kind of prodrome, that set in several hours before full-blown panic. So I consulted the psychiatry doctor who had treated me for panic in the past. I have a prescription for Xanax that I use as a breakthrough med, for panic I cannot control, and I set about trying various means of relaxing myself, to avoid panicking. 3-1/2 years later, I still have a dull ache in the lower back. I carry a cane with me on long trips, in case I cannot find a place to sit and stretch my back out. And I do floor exercises, such as spider-crawling, to strengthen the muscles in which I’d felt the spasms. Absolutely this has helped my back to recover. If there’s one message I’d like to communicate to all ignoramuses who view psychosomatic illness as “all in one’s head”, it’s that the brain-muscle communication process is a two-way street. Telling one’s Freudian id and superego, that they are entitled to rule the muscles and demand of those muscles, everything they can possibly want, is the wrong message. The brain must be wise in it’s ruling over the muscles, for a muscle that is pushed beyond it’s ability to deliver work, will exhaust itself and seize up. Entitlement, as a theory of how to live in one’s body, is just as destructive as it is, in relationships with other humans. Just as treating another person, as if that person owes me what they do not think they owe me, will probably get that person angry with me…treating my muscles as if they must deliver what I will them to deliver, causes them to stop delivering anything at all. What I gained from reading a bit of Dr Hanscom’s wisdom but being too cheap to pay to attend his class, is that my back problems healed themselves, and I learned a lot in the process of helping that happen. Key Takeaway, Psychotherapy and Yoga, “Seem to help.” There is no empirical evidence that these Therapies actually “Help.” The NIH Published a “Study” that indicated the Yoga was “effective for Back Pain. They did not explain their definition of Back Pain. They obscured the facts again. They did not makes distinction between, a person with a short duration “back Pain” from sitting at a desk or playing Golf on the weekend, and someone with several Surgeries or a traumatic injury. We have had no Scientists, Statisticians or Medial Practitioners weigh in this in credible scientific way. The silence is deafening. The Biggest Takeaway is the lack of Objective Science. We have no more understanding of pain now than we did 30 years ago! “Yoga and psychotherapy”?! Come on! That’s offensive to anyone who has disc disease, ruptured discs or surgery gone bad. While I’ve had 2 minor back surgeries that were successful (discectomies), I don’t suffer with severe, chronic back pain. But I have experienced those 2 disc problems, and they both hurt a lot! But only until the surgery was over. I am lucky. I can’t imagine suffering with the horrible pain that many readers deal with every day, especially with my other severe pain issues. But I don’t believe “yoga and psychotherapy” will go over well with at least some readers. I’ve battled lower back pain for 25 years with the last 7 being chronic. I have been down a similar road with yoga, acupuncture, physical therapy, psychotherapy, and exercise. Similar to Ed’s statement – it’s worked for me, sometimes, but it hasn’t cured nor kept me out of the operating room. I still have bouts of pain where I can’t move yet most of the time I’m able to walk several miles each day and work as if the pain does not exist. However, I would not be able to accomplish this without a very supportive pain management doctor who does not push any drugs or interventions when I’m doing well on my own. I also found a psychotherapist that also suffers from chronic pain that guides me through both the good and bad times. The big take away from my point of view is that most people will need some sort of support to accomplish what Ramin has done. Simply buying a book and thinking it will cure your back pain is simply more of the “snake oil” that has been pushed on the millions of us with back pain. What worked for Ramin is very personal and will not necessarily work for others given their diagnosis or personal situation. Chronic back pain is pandemic in our culture, but it does not have to be inevitable. The muscles of the back fire whenever we are called to action – they move us forward! At 5 months of age, the baby lifts its head and voila!! the muscles of the back awaken and we begin the process of learning how to propel ourselves forward. All of this is a good thing, as we are meant to stand upright in gravity and move forward to meet our needs. The problem comes, when the muscles of the back are firing continually without rest. We then create a habit of contraction. When folks come to me with back pain and tell me they wake up in the morning in pain, it is a clear sign that even during sleep, these muscles do not relax. It is now a brain issue and not a muscle issue. Before many of the costly invasive and mostly ineffective methods for back pain are tried, there is a different possibility. Essential Somatics is a movement modality (in the tradition of Thomas Hanna) that teaches us to release chronic tension by reminding the brain how to release the contraction that is being held unconsciously. Just like anything else, once we do something long enough, it becomes a habit … so it is with muscle contraction. If you are interested in a highly effective and noninvasive modality – check out Essential Somatics and become educated. There is no need to be floundering in the medical system.